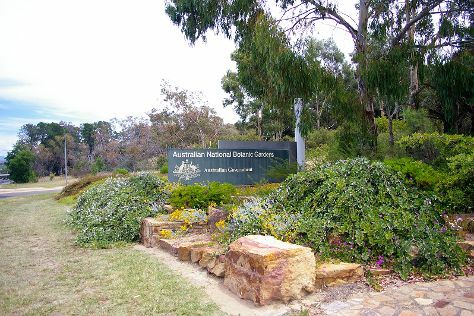 Step out of the city life by going to Australian National Botanic Gardens and National Rock Garden. Eschew the tourist crowds and head to National Zoo and Aquarium and ANZAC Parade Walk. You'll find plenty of places to visit near Canberra: Jeir Creek Wines (in Murrumbateman) and Gundog Cork Street Cellar (in Gundaroo). Next up on the itinerary: examine the collection at Old Parliament House and ponder the world of politics at Royal Australian Mint. For photos, other places to visit, maps, and more tourist information, refer to the Canberra trip maker app . Frankfurt, Germany to Canberra is an approximately 27-hour flight. You can also do a combination of flight and bus; or do a combination of flight, taxi, and bus. You'll lose 9 hours traveling from Frankfurt to Canberra due to the time zone difference. Expect much warmer temperatures when traveling from Frankfurt in February; daily highs in Canberra reach 33°C and lows reach 15°C. Finish up your sightseeing early on the 28th (Thu) so you can travel to Melbourne. Explore hidden gems such as Eastern Beach Reserve and Bells Beach. 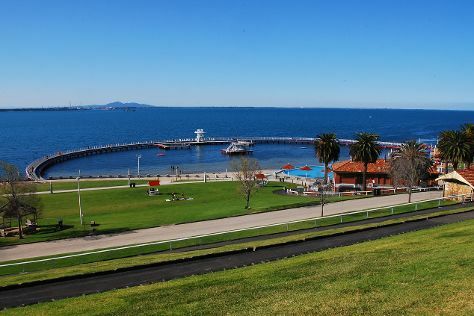 Visiting Lake Wendouree and Ballarat Wildlife Park will get you outdoors. Explore the numerous day-trip ideas around Melbourne: Hepburn Lagoon - Trail Rides (in Hepburn Springs), Ocean Beach (in Nelson) and Pulpit Rock (in Cape Schanck). The adventure continues: identify plant and animal life at Phillip Island Wildlife Park, steep yourself in history at St. Patrick's Cathedral, admire the natural beauty at Fitzroy Gardens, and tour the pleasant surroundings at Frankston Beach. For where to stay, more things to do, reviews, and other tourist information, read Melbourne road trip planning website . Fly from Canberra to Melbourne in 3.5 hours. Alternatively, you can drive; or take a bus. Expect a daytime high around 32°C in February, and nighttime lows around 16°C. On the 8th (Fri), you're off tohome.